Nothing says summer like a cocktail! For me as soon as the temperature starts to get warm I find myself dreaming of sitting in the sun with a summer cocktail in my hand. Though usually, the reality is I’m too busy chasing kids to make anything too difficult and that when I finally do sit down and I want something to drink that is easy and refreshing. 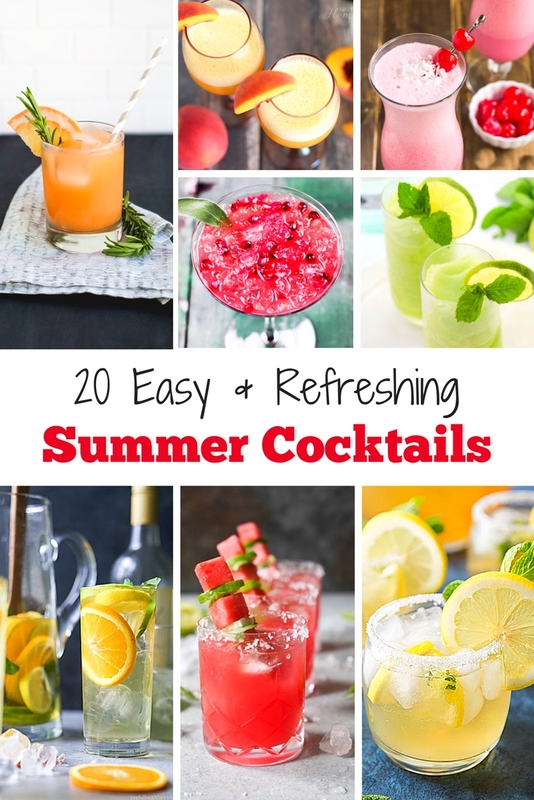 These summer cocktails combine some of my favorite summer fruits and flavors in recipes that are quick and easy so that you are spending less time mixing drinks and more time for sitting by the pool enjoying your drink. Whether unwinding at the end of the day or hosting a party or BBQ these easy and refreshing summer cocktails pair perfectly with all of your summer fun. So pick a drink and get ready to enjoy the summer. What summer cocktail are you looking forward to drinking and sharing with friends this summer?